Buck comes from a background that provides context most others wonât have or understand. Buck's show is fantastic. The mix of history and his intelligence experience factor into his analysis on today's issues. I highly recommend it over some of the other bombastic options that are out there. I have been listening to Buck for over 2 years now and he doesn't disappoint. Buck, a voice of reason amongst a sea of idiocy. I find Buck Sexton to be a reasonable voice as opposed to the cacophony of progressive noise. He reasons through complex topics, while progressives are naval gazing in the corner babbling a bunch of gobbley guck! Jack needs to quit phoning it in. He has one good line but for weeks heâs too good to say, âNo you wonât itâs a podcast.â Is he falling pray to typical hubris? Really check youâre not too good for the punchline. Besides you get the last word. I love Buck so much, I have been listening to him for years. He's one of the smartest conservative voices out there and his show is really full of great info. He's a champion for info regarding foreign affairs and really just making sure that that he share's his brain with his audience. You really feel part of the team. He's awesome! 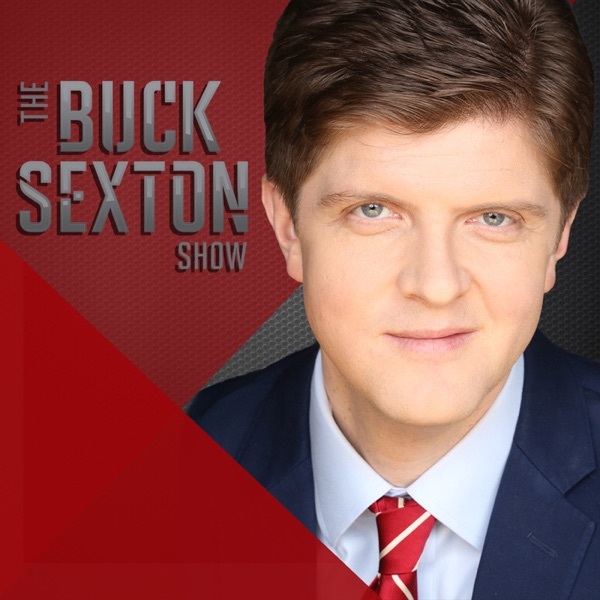 I've been a fan of Buck Sexton ever since I first saw him on The Blaze TV network. As a fellow (former) New Yorker, I enjoy Buck's take on subjects. Buck doesn't pull any punches, which is the way it should be. His guests are great. Always good to listen to another viewpoint. Keep up the good work, Buck! Excellent. Buck is top notch.Very thoughtful and Buck keeps it real. I never miss this podcast. I have been listening to Buck since his earliest days at the Blaze. As an active duty military officer I can hear in Buckâs analysis his expertise and familiarity with the real-world threats we face today. He speaks my language and that is something that few of the of other commentators out there can provide, or else they painfully fail at faking it. I rely on Buckâs show to get a handle on the crazy political climate we are living in, and his perspective is refreshingly thoughtful, intelligent, pragmatic, and thorough. Thank you Buck for being fully awesome. Shields High! As a retired Senior Special Agent DHS HSI (Legacy US Customs) I respect your position on current events. Especially re threats to the US. Having taught CVE I can concur with your POV. Keep up the great work! I'm spreading the word to my friends. Great commentary on today's policital topics. Buck is the most politically astute talk show host out there. Not that the other conservatives talk show hosts are bad or wrong. Go Team Buck! Buck is exceptionally bright, articulates conservative truths and values very well and has a great sense of humor. And like some, doesn't pretend to be calling balls and strikes. Buck has brains! Plus, heâs the perfect mix of Libertarian & Republican for me. Keep up the great work, Team Buck! Love this podcast! I have followed Buck from his days at The Blaze. I listen each day and look forward to Buckâs insights and analysis. Love listening to the radio every night on my way home from work!! Love hearing the podcasts on my time off! ðð¼ðð¼ðð¼ GREAT show that shares the TRUTH in a ocean of Media Lies! Buck Sexton show is a perfect way to stay informed and entertained! One of my daily necessities! Buck offers great insight with conservative commentary.